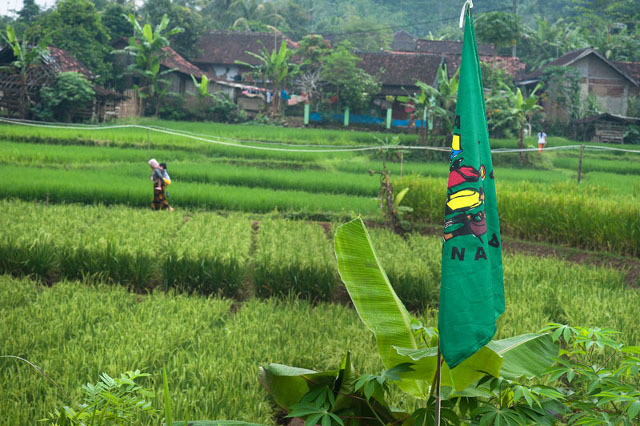 Twenty years after La Vía Campesina International was founded, the global network of rural organizations has agreed to a new worldwide action plan based on small-scale farming and agro-ecology, food sovereignty, and self-determination of communities. At the same time, the group is reaffirming its stance against transnational corporations, industrial agriculture and agri-business. One of the most important aspects of the event, which was held in June, was the call to intensify resistance in the countryside, land occupations, and support a return to the field, agro-ecological production, and activist demonstrations. It also emphasized the strategic nature of political and educational training processes that campesinos are carrying out in various parts of the world. Among the guidelines adopted, it highlighted the need to ensure access for rural and indigenous people to land, water and native seeds; promote peasants and indigenous food production; and guarantee that rural communities have quality, universal, free public education that encourages youth to stay in the countryside. It also supported the importance of international campaigns defending native seeds and land reform, and combating violence against women. The organization launched a global version of the Campaign against Pesticides and for Life, which the Latin American Coordination of Rural Organizations (CLOC)-La Vía Campesina has conducted in Latin America and the Caribbean since its fifth congress held in Quito, Ecuador, Oct. 2010. Alberto Gómez, of La Vía Campesina Mexico and one of the most prominent figures of La Vía Campesina International, told Latinamerica Press that “70 percent of food coming onto the tables of mankind is produced by us peasants, artisanal fisherrmen, people dedicated to urban agriculture.” Women produce the vast majority of that food, according to La Vía Campesina. “The many-headed monster [the capital] is strong, big, powerful, but we dare to challenge it. The world´s largest market is the food market. And large corporations — capital — want to consolidate this market, because this is a huge amount of money, which they don’t have, and it is spiraling out of their control,” Gómez said, adding that family, small-scale farming and the proposed food sovereignty continue gaining ground. La Vía Campesina issued a “platform to fight hunger and poverty in rural areas,” with guidelines for “governments and multilateral institutions that truly want to” address these crises. Structural causes are found in the capitalist system and “the neoliberal policies of cutting budgets and services, and the transnationalization of our economies,” according to the organization. Wendy Cruz, representative of La Vía Campesina Central America, highlighted the need to address feminist issues in the rural and popular sectors. She stressed that the movement must commit to provide greater effectiveness in the campaign to reduce violence against women, with the goal of achieving social justice worldwide. “Another area of focus that women request is our concern for all matters relating to the issue of militarization, which is emerging in all countries and affects us [women] first,” Cruz told Latinamerica Press. She called on women around the world to claim their rights and dignity. Gómez, meanwhile, positively assessed developments including the right to food sovereignty in some national constitutions — such as Bolivia, Ecuador and Venezuela — a political demand of La Vía Campesina since 1996. But he believes that is not enough. “[To include] food sovereignty in a constitution is good, but for that to be established and implemented, you need a series of policies, not just from the government, because governments last 4 to 6 years and then change, but [you need] state policies,” he said. According to the Mexican leader, transnational corporations, governments of various countries (especially industrialized), international financial institutions in the height of a capital crisis, are in the midst of a run on developing states’ natural resources, which leads to the persecution of farmers and indigenous peoples with threats and murders. “The crisis is causing our rights as human beings — as campesinos — to be more rapidly dismantled,” Gómez observed. That issue “concerns us greatly and requires greater unity, greater international solidarity, and to be attentive to the things that could happen” in the region, said Martínez.